They used bicycles and motorbikes for everything in Vietnam. 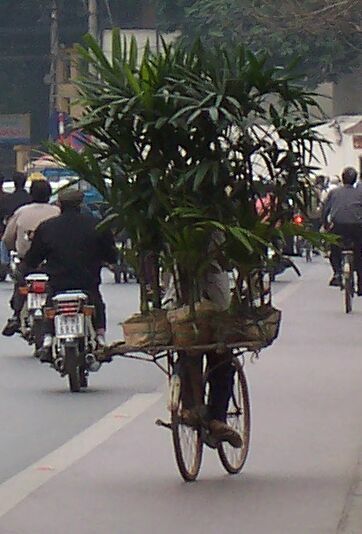 I guess this guy's delivering a load of potted plants. 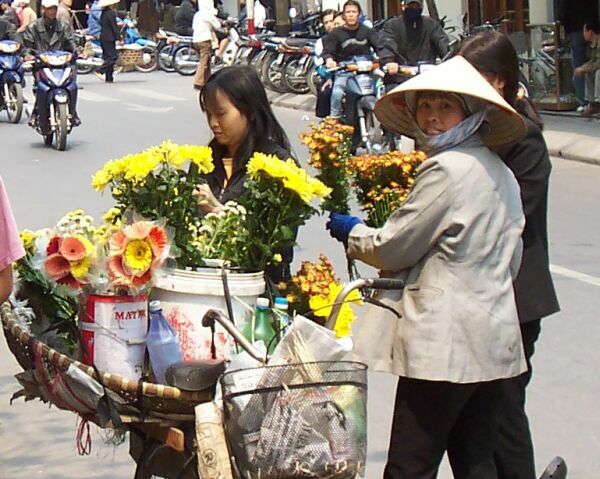 This lady was one of the many bicycle-based flower sellers on the streets. I had thought that Vietnam was always hot. 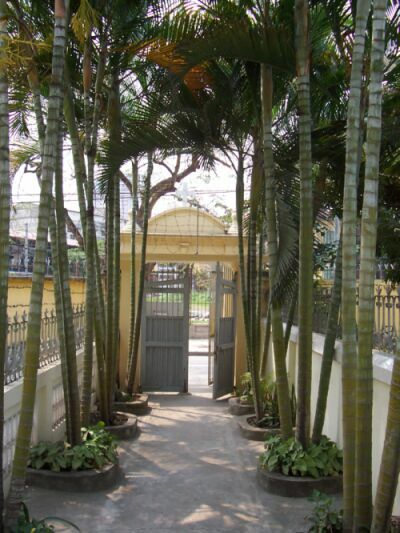 Hanoi, in the far north of the country, is just barely within the tropics, and it was slightly chilly there in March. 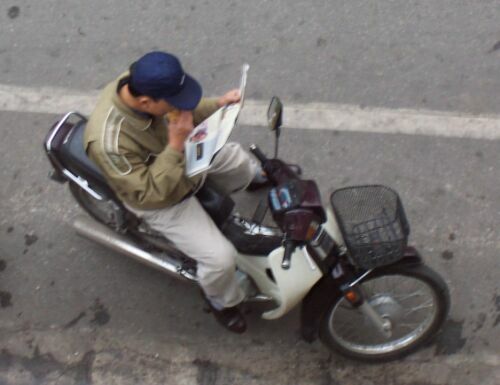 This guy, spotted under our hotel window, was even having his breakfast and reading the morning paper on his motorbike! 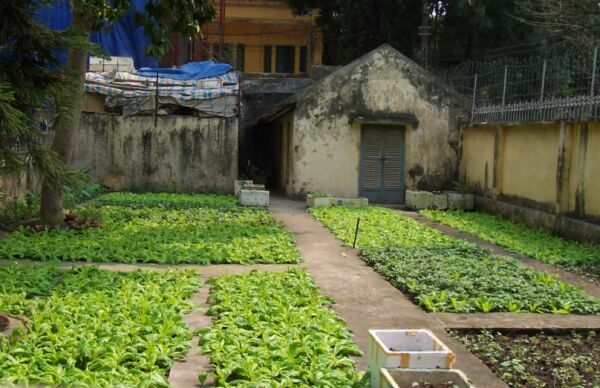 A small park off Le Thai To street, which circles Hoan Kiem Lake. The streets were busy, so it was nice finding a little path that led off towards a hidden area of quiet. ... and then took us out onto the street again. 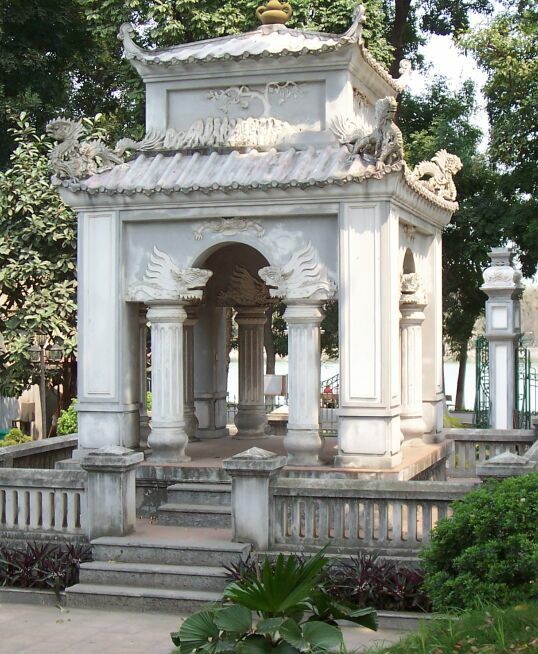 Another view of Ngoc Son Temple on its island in Hoan Kiem Lake. 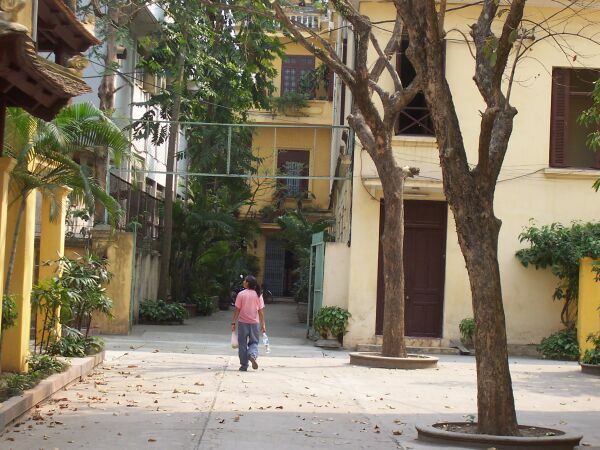 The lake is the true heart of Hanoi, one of the most beautiful elements of the city and a never-failing landmark for the tired and lost tourist. We worked up a thirst with all that walking. We've been known to drink an ice cold Pepsi back home after a long walk, but in Hanoi, when you ask for a Pepsi, they give you one of these. 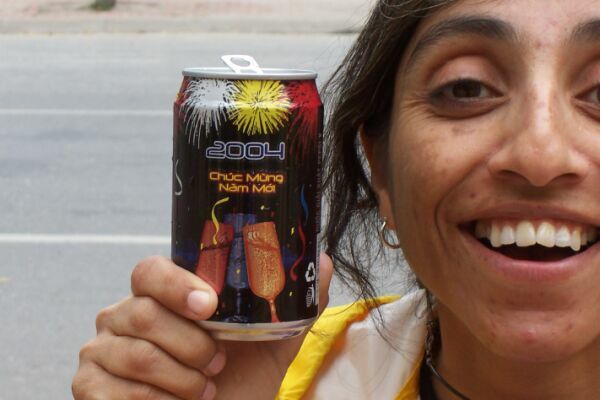 It was definitely NOT Pepsi. We had wondered if it would be OK to wear shorts in Vietnam. I guess this billboard answered that question.